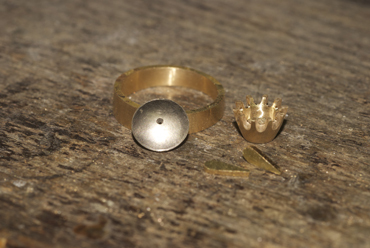 This is a picture of the finished ring but look furthur to discover the work that goes into the making process. 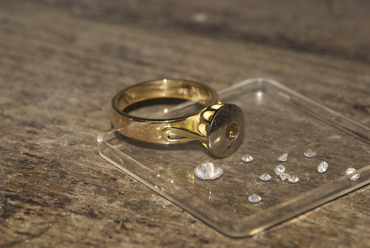 In a world where everything is mass produced and instantaneous, we sometimes forget that the little things when made by hand are alot of work. 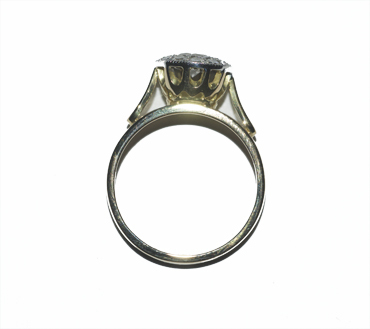 Above is a picture of the original ring with the diamonds cut out. 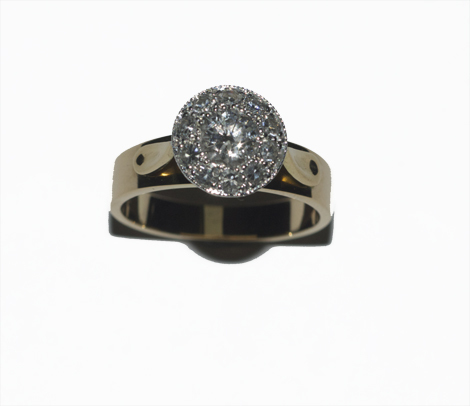 It was very worn and the customer had lost one of the diamonds. I was commissioned to re make it. 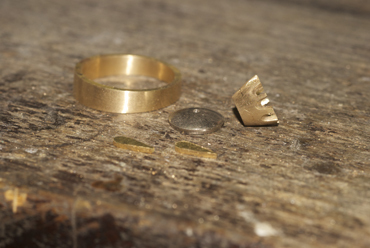 Firstly l start by making up all the individual components of the ring. To get to this satge l have already spent many hours making them. Almost ready for the assembly stage. 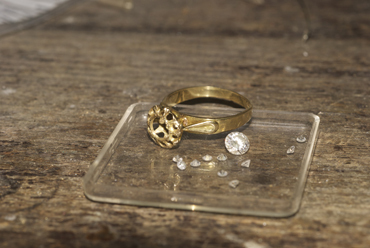 Beautifully finished and ready to go to the diamond setter to complete the sparkly bit.